In about a month, the Palmyra Team will be assembling in Hawaii on the first leg of their journey to Palmyra and our excitement is growing! Palmyra ranks in the top ten of the Most Wanted List and #2 in Europe! As with major DXpeditions, there has been a change of plans due to unforeseen events. Based on the original award received in January 2015, a Team of 12 operators was assembled. The air charter is provided by our host, The Nature Conservancy, as part of the award. Earlier this year, the air strip was decertified and as a result the aircraft type had to be changed to allow access to the Palmyra. The aircraft selected will only seat 9 persons, which is a major change of plans for the DXpedition. Several alternate options were examined but were unsuccessful. It was with great pain that three of the operators stepped back from the Team to allow the DXpedition to proceed. All equipment has been received, being pretested and packaged for shipment to Hawaii. The Team plans on leaving Hawaii for Palmyra on 11 January 2016 and being active from 12 January through 25 January. 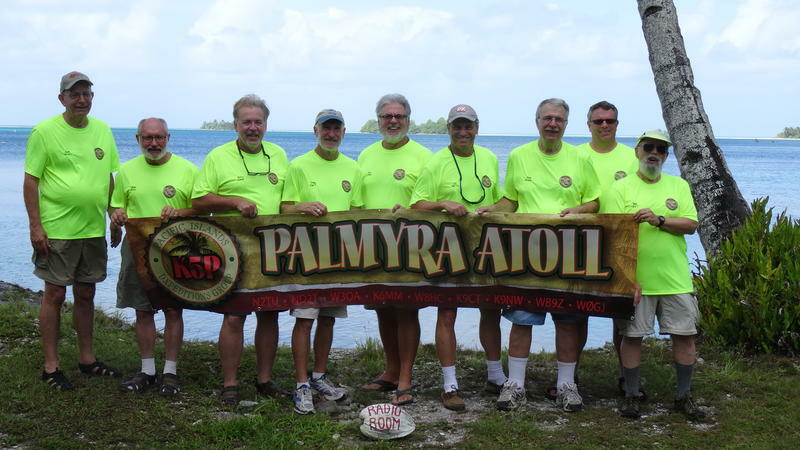 Future Palmyra Atoll activations may not happen for many years, as access is severely restricted. Permissions to operate on these rare and extremely controlled locations are very difficult to obtain. We wish to thank The Nature Conservancy and the US Fish and Wildlife Service for their cooperation and support. Without this, K5P Palmyra2016 would not occur. Check the K5P Palmyra2016 web page for future updates, propagation predictions and donation page.